More have come to accept that policy work is part of prevention, but what kind of policy advances prevention? Further, since Statue of Limitations (SOL) policy work focuses on making it easier for victims to report by taking away the barriers of reporting within a certain period of time it fits clearly within victim advocacy, but how does it fit with prevention? In this web-conference Randy Ellison, OAASIS and author of “Boys Don’t Tell” and Donna Dunn, Executive Director of MNCASA, discuss how the efforts did or didn’t work in their respective states of Oregon and Minnesota. They also identify how this effort is connected to their prevention work. Ms. Dunn is graduate of Gustavus Adolphus College (BA) and Vanderbilt University (MAT). She has been an activist in the movement to end sexual and domestic violence for over 30 years. 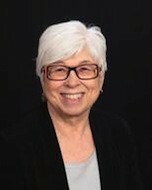 Prior to becoming Executive Director, she was program manager of the Sexual Violence Justice Institute, the criminal justice arm of the Coalition. Dunn also sits on the Civil Commitment Task Force for the State of Minnesota. Dunn’s past experience includes serving as Director Victim Services of Dodge/Fillmore/Olmsted in Minnesota. Randy Ellison is Speaker, writer and author of the book Boys Don’t Tell: Ending the Silence of Abuse, Randy Ellison is a child sexual abuse victim’s advocate and an activist promoting cultural change working with local, state and national organizations. He addresses abuse prevention and healing for survivors from a survivor’s perspective. Ellison is a member Child Abuse Network of Southern Oregon, and the Oregon Attorney General’s Sexual Assault Task Force. 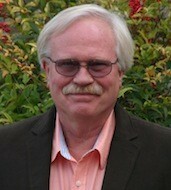 He is a founding member and former board president of OAASIS, Oregon Abuse Advocates and Survivors in Service. Increase understanding of the Statute of Limitation (SOL) efforts. Find out barriers and supports for SOL. Articulate 3 ways SOL fits with and supports prevention work.